Gary Mendell is the chairman of HEI Hotels & Resorts, and Executive Chairman of Brian's Wish. @gary_mendell. 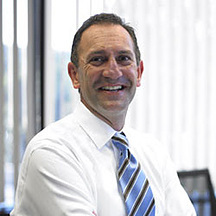 Gary Mendell Co-founded HEI's predecessor in 1985, which became one of the fastest growing hotel investment firms in the U.S.In 1997 he sold a majority of the company to Starwood Lodging Trust where he was named president and elected to the board of trustees. During this time Starwood acquired the Westin hotel chain for approx. $1.8 billion and ITT Corporation for approx $14 billion. Gary resigned in 1998 to pursue entrepreneurial activities that led to creating HEI Hotels & Resorts in 2002. In 2004, he facilitated sponsorship of HEI's first proprietary $275 million discretionary private equity fund. Gary facilitated closure of HEI's second discretionary private equity fund with $425 million equity capitalization in 2006 and HEI’s third fund with $515 million in 2008. HEI's current portfolio of 42 hotels has hotel revenues of ~$650 million, real estate value of ~$2.8 billion and has ~5,500 associates. HEI has received many awards. From Starwood Hotels & Resorts in 2010: Social and Cultural Sustainability Award, Conversion Full Service Award and New Build-Luxury Award. From Marriott Hotels & Resorts in 2010 and 2011: Food & Beverage Excellence Award, Conversion of the Year, and Developer of the Year Award. HEI prides itself on its leading efforts on associate wellness. It was recently awarded Gold Fit Friendly status by the American Heart Association. In addition, in 2012, HEI launched what is believed to be the first ever Employee Wellness Program centered around “Commitments to Action” that include measurable goals, specific action steps and a specific date of measurement, to improve an associate’s health. In its first month 1,650 of HEI’s 5,500 associates have made a Commitment.